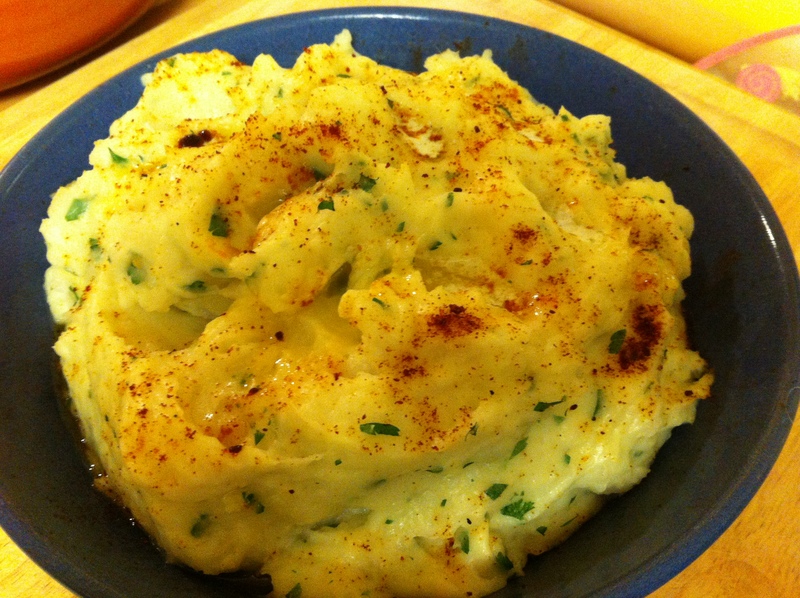 Often I like to do what I call “smashed potatoes” which includes the skin and all … a more rustic look. Tonight I felt like a more refined approach (and had rustic russet potatoes with not very pretty skins..) Try this with a Sunday roasted chicken or beef – or tonight we had it with lamb shanks! Turn heat down to a moderately high heat and cook until potatoes are just tender to a fork. Remove from heat, drain well. Add milk (whole milk or cream works best), butter, salt and pepper. 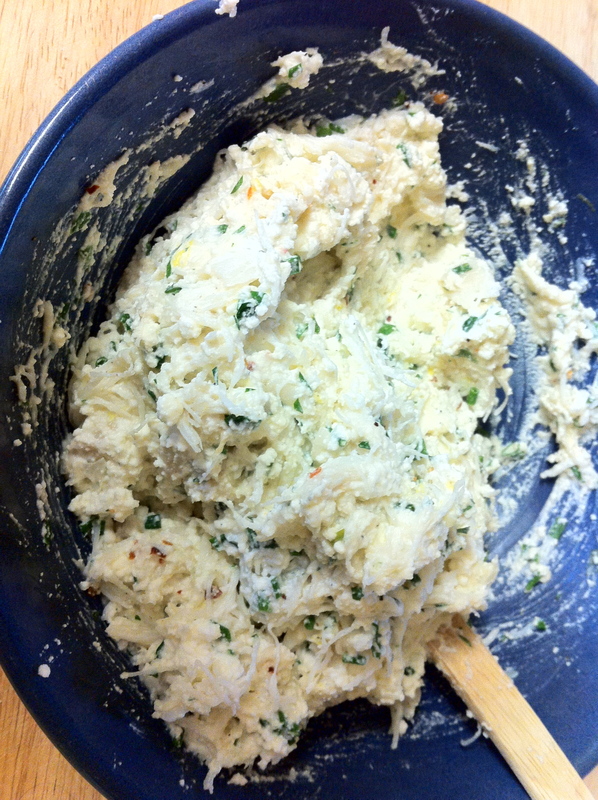 Use a potato masher to blend well, and then sprinkle in your herbs – stir in. NEVER use a food processor. This will turn your potatoes into glue. A hand potato masher works, as does a hand held blender, or a potato ricer. On a fall day the aroma of lamb shanks fills our home with warmth and goodness – a perfect Sunday dinner for the family…. Braise – covered – in a 325 oven for at least 2 1/2 hours – maybe 3, turning the shanks half way. You can tell the shanks are done when the meat is about to fall off the bone. Remove meat and herbs from pot – set aside – use an immersion blender to puree the of the sauce into a smooth gravy. 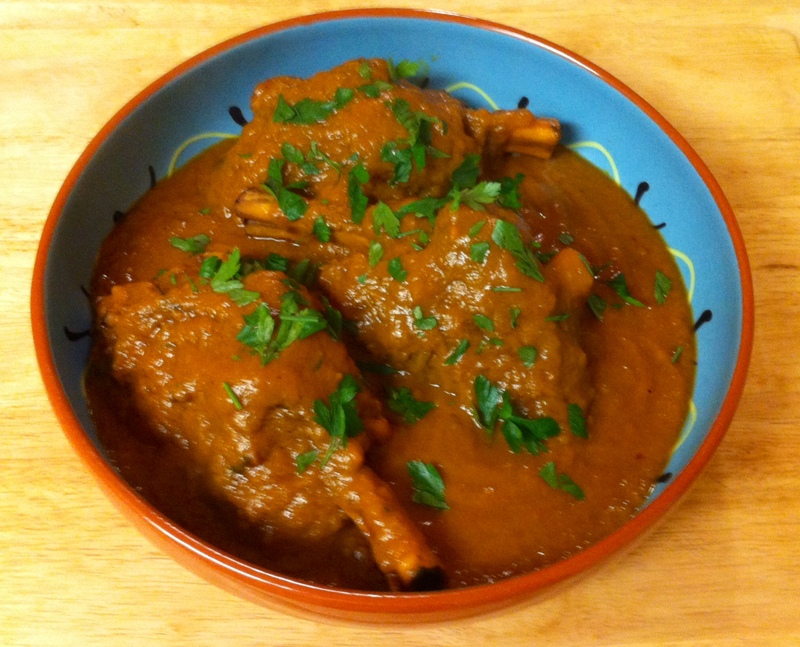 Set lamb shanks into a serving dish – pour gravy over and garnish with fresh parsley. It is that pumpkin time of year …. they fill the house with a fabulous aroma when roasting them to make into magical scones, muffins and pie. 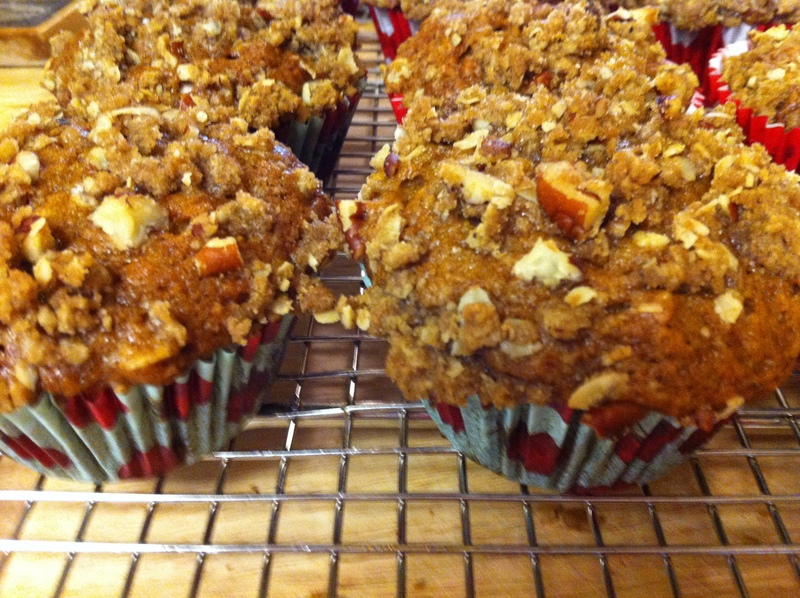 This pumpkin streusel muffin is so good you will be happy it makes such a large batch! Preheat oven to 350 degrees F (175 degrees C). Grease or line 24 muffin cups with paper liners. Combine 2 1/2 cups flour, 1/2 cup oats, cinnamon, ginger, nutmeg, cloves, baking soda, baking powder, and salt together in a bowl. Whisk pumpkin puree, 1 cup brown sugar, white sugar, vegetable oil, applesauce, eggs, and vanilla extract together in a separate large bowl. Stir flour mixture into pumpkin mixture; mix well. Combine dry ingredients for topping, then crumble in softened butter, mixing until it resembles crumbs. Pour the batter into the prepared muffin tin. Sprinkle each muffin with streusel topping. Bake in the preheated oven until a toothpick inserted in the center of a muffin comes out clean, 25 to 35 minutes. 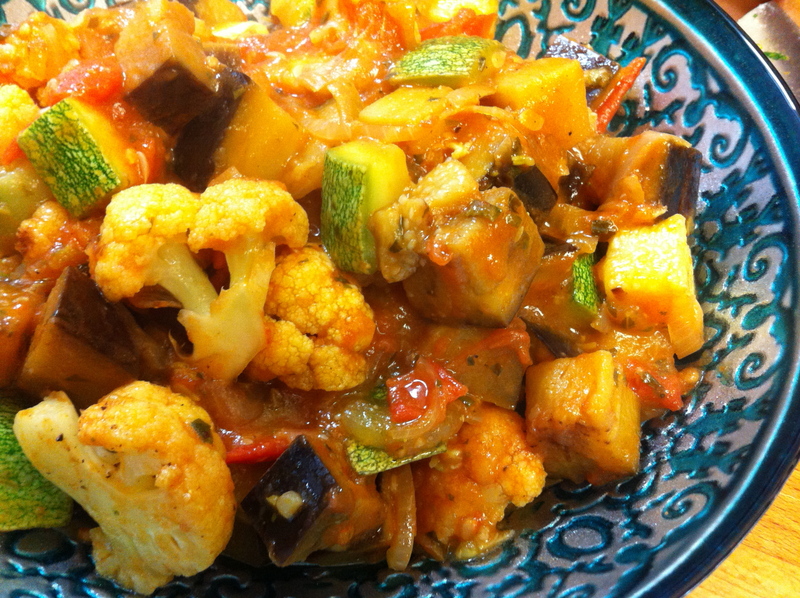 I always think of a ratatouille as a long stewed vegetable dish. When the summer vegetables are at their peak, or even just starting to wane -that flavour is fresh and delicious. Saute onion in olive oil until well softened and starting to turn a golden colour. Add zucchini, cauliflower, and eggplant. Saute until vegetables are starting to soften – move vegetables over to the side and in a little hot spot add a wee bit more oil, along with the garlic and tomato paste. Allow tomato paste and garlic to cook a bit, then stir into the vegetables. Add basil, salt and pepper. 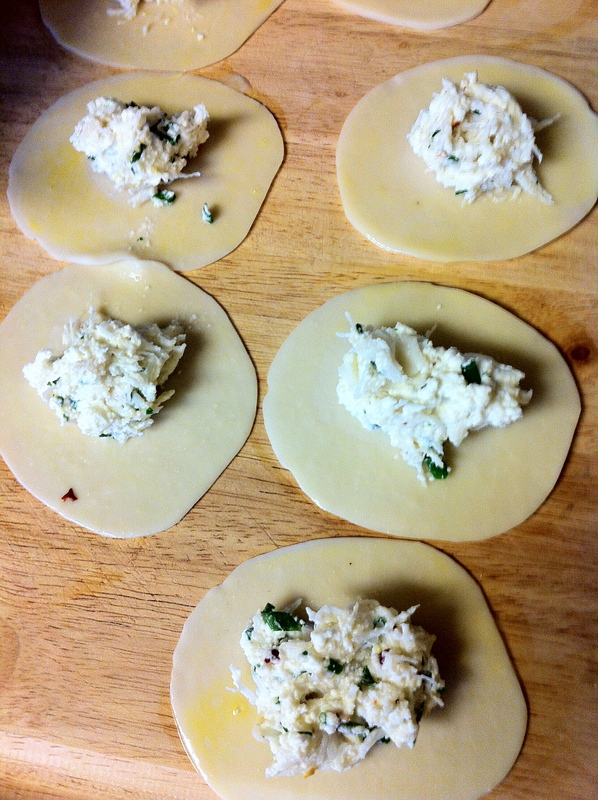 Our good friends Rob and Mandy love fresh crab as much as we do … and that is saying something! She is brilliant at the cooking and prep – something we look forward to so much! Last time we restrained ourselves just enough to have a cup of fresh crab meat left over …. 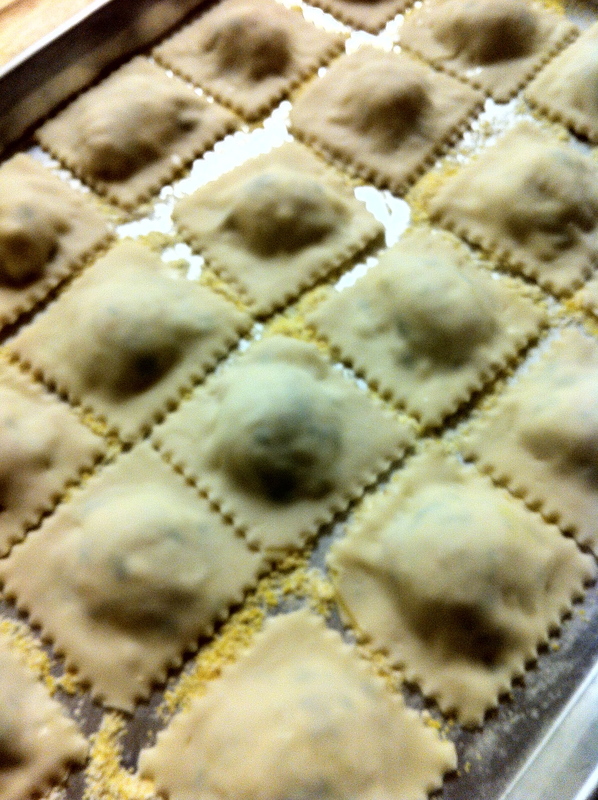 that became tonight’s crab ravioli. Unbelievably good …. When I have time I prefer to make my own pasta dough, but in a pinch, these little dumpling wrappers from the Asian market are fabulous. Blend everything just until combined, taste and season if necessary. Using dumpling wrappers, put 1 tsp on one round – brush egg wash around and top with another dumpling wrapper – squeeze the excess air out and seal well. Allow to dry while you prepare a sauce. Melt 1/2 cup butter, stir in juice and zest of 1 lemon. Toss in fresh chives and parsley, season to taste with salt and pepper. 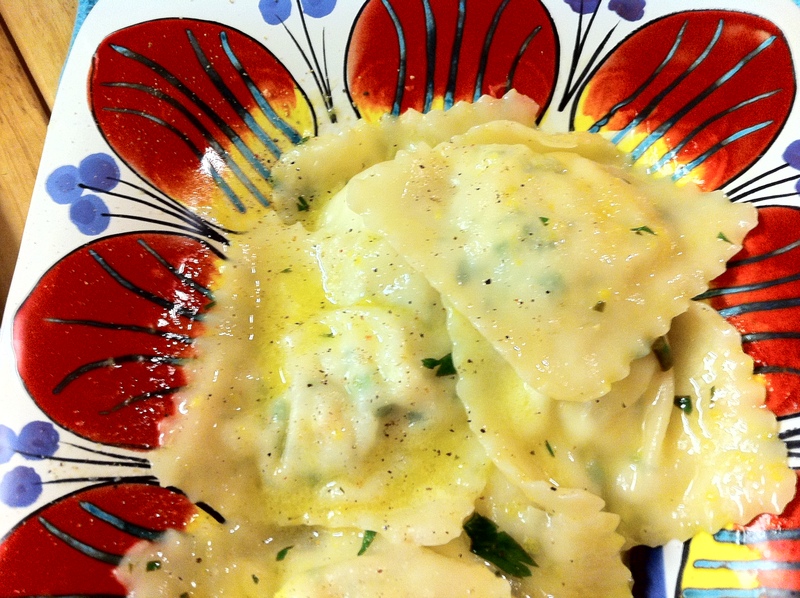 Cook ravioli in well salted boiling water. Be careful not to cook too many at a time or the water temperature will drop. Once they have bounced around the surface for a couple of minutes, transfer to sauce pan with lemon butter sauce, adding a tablespoon or so of pasta water. Toss with a bit of the fresh herbs and season to taste. At this time of year the butternut squash is coming out of the gardens and so fresh that when you cut into it beads of moisture appear – yum yum! 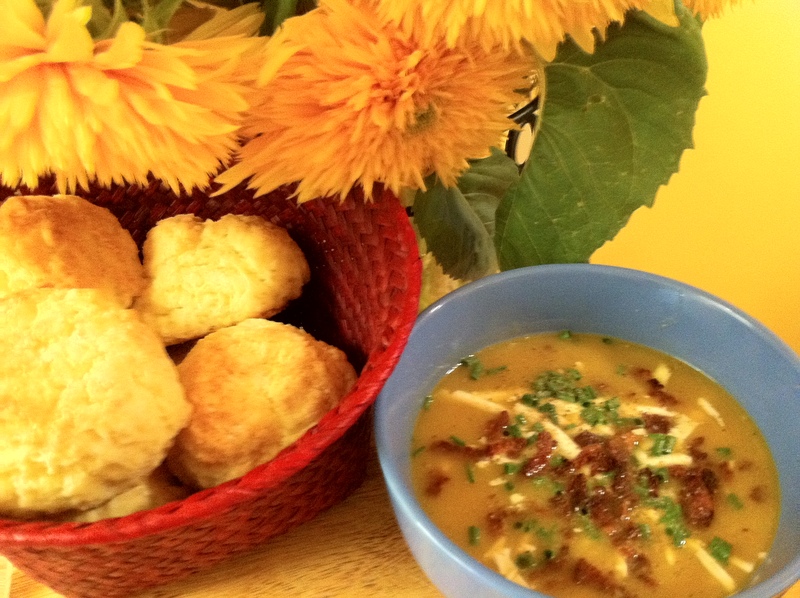 Butternut squash soup is a favorite of mine, but this time I felt like a little twist. In a soup pot cook bacon pieces (I like to cut my bacon slices in thin slivers). Remove bacon as soon as it gets crispy. Remove some bacon fat, but leave enough to sauté your cinnamon stick, onions and garlic until soft. Add chicken stock and roasted butternut squash. Remove cinnamon stick as soon as you get a hint of it in the broth, but not overwhelming. Cook until everything is steaming hot – puree with an immersion blender or in batches in a blender (if using a blender take care to leave an opening for the steam to escape – you do not want to end up wearing this hot soup). Season to taste with salt and pepper. The portions on this will vary greatly on the size of your squash, and the amount of soup you want! For tonight there were only 2 of us so I used 1/2 a squash (about 2 cups) to 4 cups of chicken stock. Serve once the soup has been pureed – garnish with the chives, bacon bits and grated feta. For a vegetarian option, leave out the bacon and use vegetable stock. Either way – a delicious soup!